So many of you have admired this pillow since it appeared in the shop. Our resident art quilter, Maria "No Rules" Weinstein, will present a totally new way to combine strips with negative space for a modern version of a string quilt. Slice without a ruler and be ready for a surprise or two. Since this is a no rules/no rulers class, you have a lot of freedom to make this work your own! Anything goes, so don't worry. You can't make a mistake. 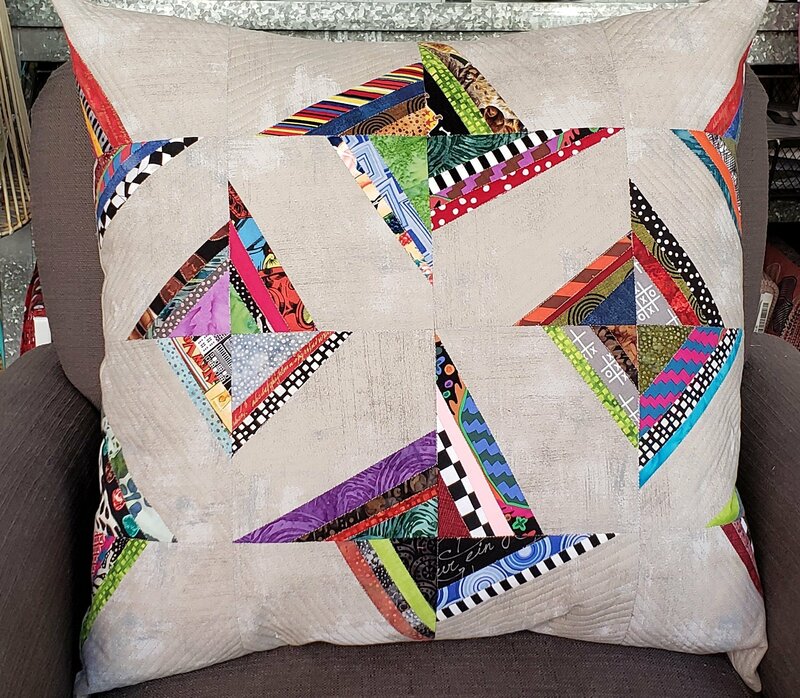 Use a limited palette or go wild with scraps; no two blocks or quilts will be alike! It's addictive! And it's jelly roll friendly, too! Click here to download the supply list.